Lakme Sun Expert SPF 24 PA++ UV Lotion is infused with lemongrass and cucumber extracts that protect the skin from the harmful sun rays. 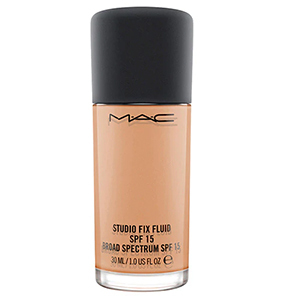 It acts as a shield and gives your skin radiance and a healthy glow. 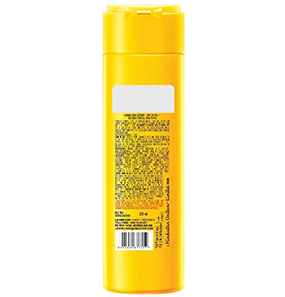 It comes in a vibrant yellow opaque tube with a flip-open cap. 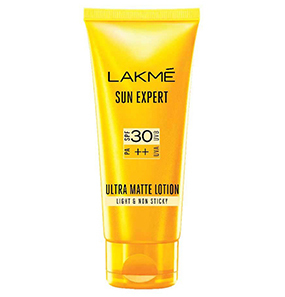 What is the list of ingredients of Lakme Sun Expert SPF 24 PA++ UV Lotion? How to use Lakme Sun Expert SPF 24 PA++ UV Lotion? 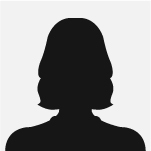 Is Lakme Sun Expert SPF 24 PA++ UV Lotion a face cream or a body lotion? 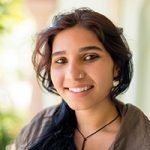 My views on sunscreen changed after I started using Lakme Sun Expert SPF 24 PA++ UV Lotion. I say this because my skin is very sensitive and needs extra attention. And all the sunscreens I used before were either too greasy or left a white cast. Some even gave me rashes. Considering that, with apprehension, I got this sunscreen lotion from Lakme. The bottle looks like a mini body lotion, and even the consistency is runny like a body lotion. So, this sunscreen can be used both as a face cream and as a body lotion. I personally prefer it on my face because the quantity is too less to be used both on my face and body. Since it is flowy, I was quite worried that it would make my face sticky and greasy. However, that did not happen. 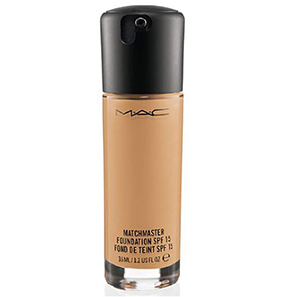 It kept my skin matte without making it stretchy the whole day. As soon as I blend it, the lotion gets absorbed and gives a mild radiance, which is the best thing for my dry skin. 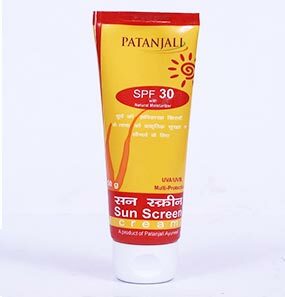 It’s 8 months now and this sunscreen has become my all-time moisturizer. Like I said earlier, I have sensitive skin which tends to react quickly. 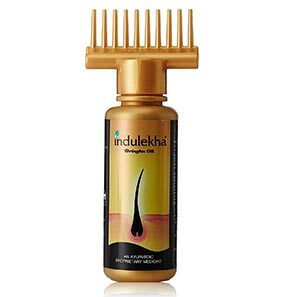 But till date, I have not faced any problems with this product. 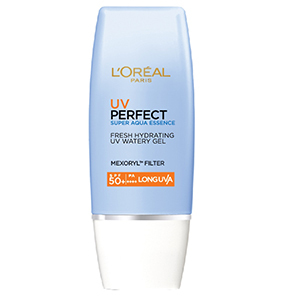 Will I suggest Lakme Sun Expert SPF 24 PA++ UV Lotion to others? Hell yeah! 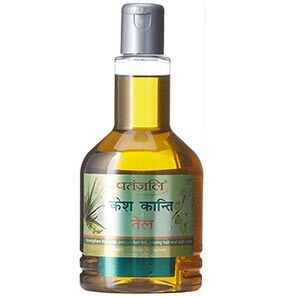 This lotion is a light formula which is non-sticky, gets absorbed very fast without any hassle, and it is one of the best for the winter season. It works well during the summer season too, but reapplication is needed. But during the winter season, it is more effective. Give it a go! Lakme Sun Expert SPF 24 PA++ UV Lotion has a creamy consistency, and it is sticky on my oily skin. 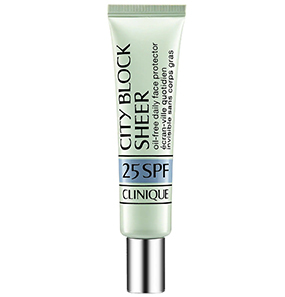 I stopped using this on my face after a week because it makes me sweat, and within one hour, my face looks dull! However, using this lotion on my arms and feet works fine. Not going to buy it again. This sunscreen from Lakme is one of my go-to products. From the day I started using it, I have not stopped. I use it throughout the season. 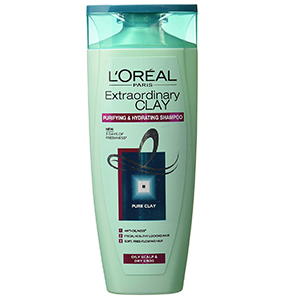 The consistency is runny, so just a tiny amount does well for my skin. The fragrance is not overpowering. 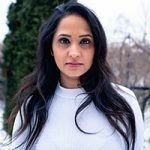 The only problem I had with Lakme Sun Expert SPF 24 PA++ UV Lotion is that once I wore it with my compact, and it made my skin look very cakey. I don’t wear makeup every day, so that is not a major problem. But it would have been better if this lotion was compatible with makeup as well. My dry skin adores this lotion because instead of making my skin stretchy like most other sunscreens, it adds a mild sheen to my skin. It keeps my face moisturized throughout the day and protected from the harmful sun rays. It has been over a month and so far, so good. A big thumbs up for Lakme Sun Expert SPF 24 PA++ UV Lotion! Using fingertips, dab the sunscreen on your forehead, cheeks, chin, and neck in dots. 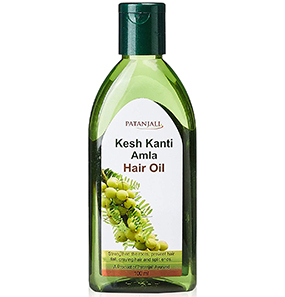 Apply 15-20 minutes before stepping out. 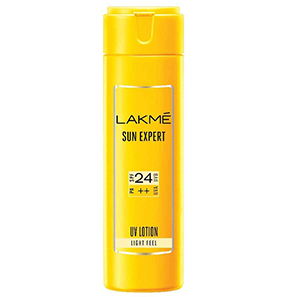 Lakme Sun Expert SPF 24 PA++ UV Lotion has no side effects. Lakme Sun Expert SPF 24 PA++ UV Lotion can be used both as a face moisturizer and a body lotion. Combination skin and oily skin might find it on the heavier side while using it as a face cream during the summer season. So to avoid discomfort, skipping it will be a better option.